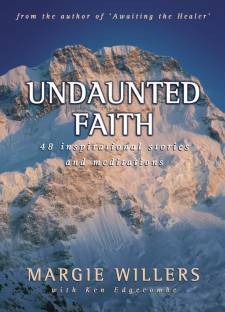 Undaunted Faith is a challenging and thought-provoking smorgasbord of meditations, anecdotes and short stories. This book is made up of original material written by Margie Willers combined with a wealth of collected wisdom. It is the result of years of battling through ill-health and the realities of living with Cerebral Palsy. Undaunted Faith marks Margie Willers out as a woman of incredible courage, but it will also strike you close to your heart. Its practical, easy-to-read clarity will inspire you towards a closer walk with God. Take hold of the kind of faith that can face any mountain.